Robots – Improving Our Future or Leading Us to Doom? 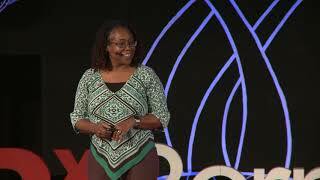 TEDxBermuda | Should We Trust Robots, and Should They Trust Us? For decades, society has imagined ways in which robots would be part of the future – evolving from autonomous vacuum cleaners to the full-fledged robo-housekeeper from “The Jetsons.” Today, we are at the very beginning of fulfilling this prophecy. 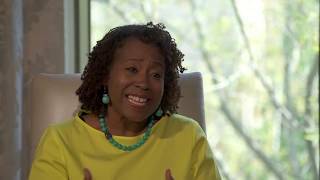 To get there, Professor Ayanna Howard, a leading expert on developing and applying robotic technology for the benefit of humans, says we need to think rationally about our future relationship with robots. A distinguished professor at Georgia Institute of Technology (Georgia Tech), Howard builds robots with expanded intelligence and emotional capabilities that help humans in business, health care, education and daily tasks. An energetic and gifted speaker, she offers crucial insight to business leaders seeking novel growth strategies through robotics and AI, as well as those who finance the most cutting-edge technological breakthroughs of the 21st century. Howard – an engineer by training, and the Linda J. and Mark C. Smith Professor and chair of the School of Interactive Computing at Georgia Tech – began developing robots while working within NASA’s Jet Propulsion Laboratory. After arriving at Georgia Tech, she transitioned to building similar machines for use in education and health care. In her TED Talk, she argues the key to ensuring that robots help, rather than harm, humans is to program them to closely follow human behavior and psychology. This enables robots to establish trust with humans, and renders them useful learning partners, empathetic sounding boards, and relatable companions to people who lack the ability to socialize. As robots become more commonplace in daily life, the answer to the question of how we control them will be to make them more human, more like us. Beyond explaining the core principles of robotic development for non-scientific audiences, Professor Howard specializes in specific applications of the technology, including use in pediatric and general health care, and education. She is also an expert on how human biases – including racial and gender discrimination – can be unwittingly programmed into robots and AI. As she trains the next generation of female and underrepresented groups of roboticists, Howard warns developers to keep a keen eye out for such unconscious transmissions of prejudices as robots and AI become increasingly integrated into everyday functions and communications with the public. Widely recognized as a leader in her field and a crucial voice in the ongoing debate over the challenges and opportunities of robotic technology and AI, Howard realized a gap in the education technology market. Armed with scientific principles and an entrepreneurial spirit, she founded the educational technology company Zyrobotics in 2013, where she also serves as the chief technology officer. 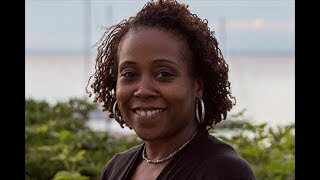 Her work and accomplishments have been the subject of numerous articles and profiles, including in Time Magazine, USA Today, and Black Enterprise. Named by MIT Technology Review as a top young innovator and one of the 23 most powerful women engineers by Business Insider, her work has been featured in more than 200 peer-reviewed publications, reflecting her reputation as the foremost pioneer in human emotion-centered robotic design. Most recently, Howard received the 2018 Richard A. Tapia Achievement Award for Scientific Scholarship, Civic Science and Diversifying Computing from the Center for Minorities and People with Disabilities in Information Technology. In 2019, Thinkers50 named Howard to its “Radar Class” of emerging thinkers to watch. 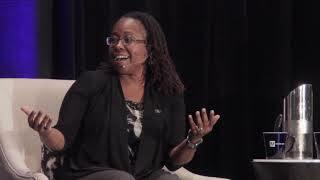 Before embarking on a career in robotics with NASA, Professor Howard earned her doctorate in electrical engineering from the University of Southern California; a bachelor’s degree from Brown University; a master’s in electrical engineering from the University of Southern California; and an MBA from Claremont University’s Drucker School of Management. Ayanna Howard is available for paid speaking engagements, including keynote addresses, speeches, panels and conference talks, and advisory/consulting services, through the exclusive representation of Stern Speakers, a division of Stern Strategy Group®. The Ugly Truth About Ourselves and Our Robot Creations: The Problem of Bias and Social Inequity. Opinion: How Much Should We Trust Robots? 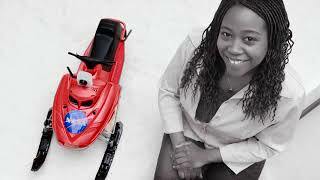 Ayanna Howard: Robotics Researcher. Educator. Bionic Woman. There is both hope and fear regarding the advance of robotic technologies: will they be our closest partners, or a threat to our jobs, safety, and well-being? 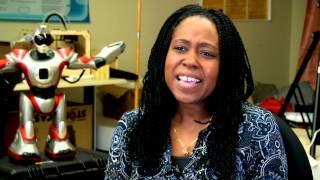 Professor Ayanna Howard focuses on designing helpful robots with an emotional intelligence that appropriately reacts to human behavior. Robotic and AI development, she says, should focus on instilling in our creations rules of engagement: “Don’t harm us. Obey us. Protect us.” Robots that are more human in their behavior and psychology are less likely to violate our social norms, and to be our friends rather than our enemies. 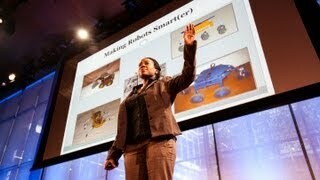 In this presentation based on her widely-viewed TED Talk, “Make Robots Smarter,” Howard explains how she develops robots and other AI functions by incorporating everything she knows about human intelligence, behavior and neuroscience, with the aim of producing human-like machines that can empathize and reciprocate trust from actual people. With implications for leading tech companies, as well as the businesses and consumers who will be buying their devices, gadgets, and helpers, Howard explains that by making robots smarter and more human-like, we will be making them less like the dangerous cyborgs of science fiction. Artificial intelligence tools can help your business collect and analyze more data than ever before, while reducing labor costs and improving customer service. AI is already transforming how businesses and industries function, from medical providers diagnosing and treating diseases to financial professionals managing complex portfolios. As more companies deploy AI, however, they must be aware of the implications and unintended consequences of leveraging the technology. Ayanna Howard, a robotics and AI expert, can help businesses ask key questions about the consequences of using these tools. What is the social impact of AI? How do you ensure that the benefits outweigh any unintended consequences? What happens when AI goes rogue – such as a privacy invasion or misuse of private data? This facilitated session will focus on how organizations prepare to successfully implement AI and avoid the pitfalls, from the merely annoying to the disastrous. Artificial intelligence is often seen as a threat to human jobs. But according to renowned roboticist and AI expert Ayanna Howard, this pessimistic vision of the future of work is severely misguided. While AI is drastically changing jobs, more importantly, it enhances jobs in two major ways: It augments menial tasks, allowing employees to accomplish their goals more efficiently, and it meticulously personalizes and scaffolds learning when teaching employees new skills and concepts. In this presentation, Howard draws on examples ranging from journalism to manufacturing in order to demonstrate how machines can help us do our jobs better or create new ones. She further advises companies on how they can develop strategies that maximize AI’s potential to increase workers’ productivity, skills and career happiness. Artificial intelligence and robotics promise enormous benefits to humanity, but there could be potential drawbacks, as well. As more jobs are automated, fewer employment opportunities outside the technology sector will exist. It’s also possible that the wealthy and well-educated will reap the rewards of AI, while it holds back the underserved, who will find it even harder to climb the social ladder. To address these long-term concerns, Dr. Ayanna Howard says we need to focus on expanding the availability of STEM education now, so that future generations will be prepared for the gigantic technological shift taking place. 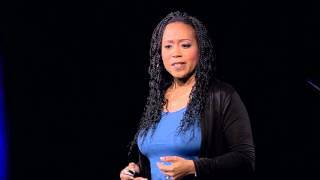 A roboticist and AI expert, Dr. Howard draws on her background as an educator, as well as her expertise as co-founder and chief technology officer of the educational technology company Zyrobotics. She shows educators how they can successfully integrate STEM into classes for young children, encourage technological knowledge and appreciation throughout grade school, and ensure students are equipped with the theoretical and practical skills needed to succeed in higher learning institutions to pursue careers in the technologies of the future. Whether caring for children with special needs or the elderly, providing adequate health care is a global and resource-stretching concern. But what if robots could lend a helping hand? 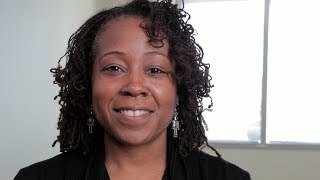 On her mission to make robots “smarter,” Professor Ayanna Howard has focused extensively on the use of robotic and AI technology in health care. Specifically, she has made major advances in providing physical therapy for children with motor skill limitations by making robots that play with them and turn their regimens into a game, while also allowing children to feel they have playmates to whom they can relate and freely express themselves. More broadly, robots can be programmed to make emotional connections with patients of all ages and conditions, helping to monitor their states of health, provide company and comfort, and work with doctors in giving medical treatment. This presentation offers insight and advice to medical providers, demonstrating how they can use assistive robots to improve the quality and success of care – and possibly revolutionize the entire industry. Bias is a feature of human life that is intertwined, or used interchangeably, with many different names and labels – stereotypes, prejudice, implicit or subconsciously held beliefs. A standard view is that bias is a negative condition which must be overcome. However, classifying the natural tendency to have biased attitudes or beliefs as ethically right or wrong does not address the main issue. Rather, we need to focus on when and how preconceived notions influence the decision-making process. When an individual makes a biased decision or when prejudice prevents an objective consideration of an issue or situation, ethical problems may arise. Bias continues to be a large and pervasive problem that has countless, often detrimental, impacts on human well-being. In the digital age, bias has often been encoded in and manifests itself through AI algorithms, which humans then take guidance from, resulting in the phenomenon of excessive trust. This certainly has had far-reaching consequences, including search engines that stigmatize women or automated judicial systems that discriminate against racial minorities. 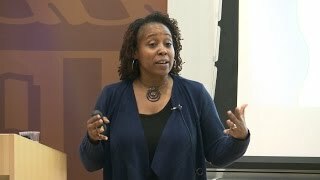 In this talk, robotics and AI expert Ayanna Howard first describes how bias can influence the designs of next generation AI systems; then, she highlights strategies that may mitigate or prevent bias from negatively affecting those who interact with these future systems. Ayanna was a great partner to work with for our event. She shared her story in an engaging way that hit on the key points I was hoping her talk would deliver. Her talk was very well received, with many of our attendees specifically appreciating the examples she shared. I was looking for Ayanna to provide a motivating and inspiring vision into the future of work for our community, and she definitely delivered on that. She was a fabulous addition to our event.